Do you click one hundred selfies only to discard them all? 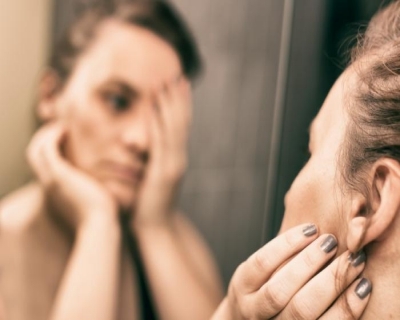 While ‘Body Dysmorphic Disorder’ may sound strange, its effects are felt by millennials across the world. This mental disorder causes a person to have a distorted view of how they look and prompts them to ‘correct’ an imagined physical defect. In this digital era of selfies and ‘likes’, the disease has complicated the lives of many youngsters. The term describes a disabling preoccupation with perceived flaws or defects in appearance. It can affect both men and women and it makes the victims of this disorder so self-conscious they are scared to be photographed. They tend to check their appearance repeatedly and try to camouflage the ‘defects’ they see and they may even go through cosmetic/surgical procedures to correct the defects they tend to think their bodies have. Onlookers are often perplexed as they see nothing extra-ordinary as the victims claim about themselves. This in turn could make the victims socially awkward as feel increasingly out of place and insecure in gatherings. 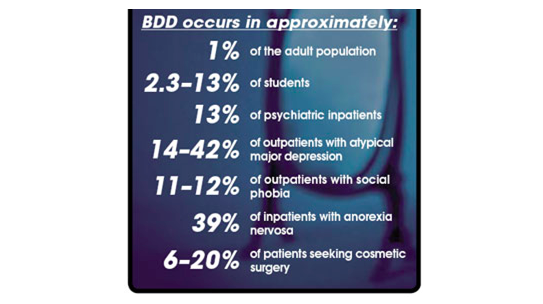 Surveys have put the number of BDD cases at about 1-2% of the world population. It is more common in adolescents and young people. 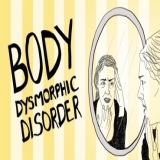 Unlike an eating disorder where the afflicted person worries about weight and the shape of the entire body, a person with BDD is concerned about a specific body part. 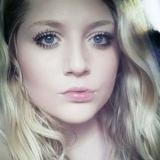 Alanah (pic above), 20, tried three times to kill herself because she hated the way she looks. Though her friends insisted she is not just alright but more beautiful than normal people, all she could see in the mirror was a defective face. She has been making progress since being diagnosed with and treated for BDD. Her recovery led her to be filmed for a TV documentary called No Body’s Perfect, which was broadcast on BBC4 recently. It focused on four people who hate the camera as they are challenged to be photographed. Alanah let someone else apply her make-up (for the documentary) which meant she is now confortable with people seeing her without the make-up. It was sheer coincidence that she got to know about BDD. “I typed into Google ‘I’m so ugly I want to die’,” said Miss Bagwell. “I would often use Google and social media as part of my disorder but this time the Body Dysmorphia Disorder Foundation came up and I could see the symptoms”. Why are the effects of BDD not easily understood? A person may change his/her perception about body features over a period of time. Skewed perceptions, however, can be life threatening as the patients’ dissatisfaction with themselves only increases every passing day. Worse, they do not know they are affected by a disease and, therefore, they seek no help. The victims may not even realize that they are spending hours obsessing over a certain part of their body and productivity would stop having any meaning to them. Just the mirror and me. Or my smartphone’s camera and me. Eating disorders could set in too as lack of appetite or the horror of food altering their physical features would lead to anorexia. People who are closely associated with the victims may have a harrowing experience as they need not necessarily know that the victims are not being ‘finicky’ but are struggling with a mental disorder. The body shaming victims subject themselves to (“I hate the way I look”) can be extremely unhealthy and unsettling to people who are close to them as well. 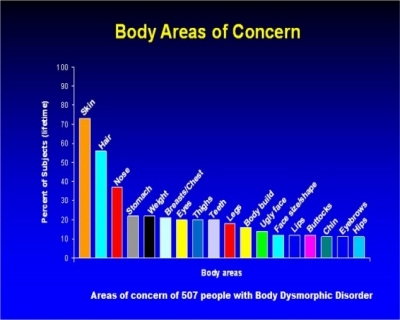 According to the Body Dysmorphic Disorder Foundation, there are many prominent symptoms of this disease. Belief that others take special notice of their outward appearance in a negative way or to mock them. Attempting to hide the perceived flaws with makeup, styling. Being so preoccupied with their appearance that it starts to affect their social, work and school life. Avoiding social situations completely (this may be the extreme form of BDD). When can selfies indicate a mental disorder? 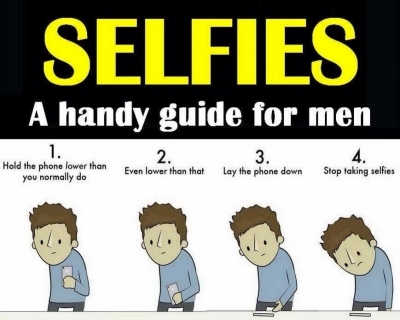 If you take many - just too many - selfies, that in itself does not indicate BDD. You are not alone in taking selfie. Selfie was elected “Word of the Year” for 2013 by the Oxford English Dictionary. But if you do not find even a single click ‘good enough’, you have reasons to worry. There is a growing breed of psychologists who believe that maniacal selfie-clicking is a mental disorder. Psychologists report that, since the rise of selfies, repeated self-portraits (a more dignified term for selfies) have become a common symptom of people with BDD. However, the selfies are not posted. They are just clicked, mourned (“that can’t be me”) and deleted. Adobo Chronicles, a site that claims to publish ‘unbelievable’ (meaning fake) news, is certainly not the go-to site for medical research. But we found their analysis of the selfie culture as pertinent as it was funny. They have a name for this ‘disorder’. Selfitis is defined as the obsessive compulsive desire to take photos of one’s self and post them on social media as a way to make up for a lack of self-esteem and to fill a gap in intimacy. They have classified it too. There are the three levels of the disorder. Chronic Selfitis: The uncontrollable urge to take photos of one’s self round the clock and posting the photos on social media more than six times a day. Where can a treatment for BDD be effective? BDD is often dismissed as a "first-world problem" because (the faulty logic says) those who have so much time to check themselves in the mirror must be rich. Also, the BDD patients often go for costly plastic surgeries. However, BDD is not influenced by your riches. The country with the second highest number of plastic surgeries is Brazil. Better awareness about this condition will make people consider treatment and their friends to support the treatment. The good news is that BDD is a treatable illness. The therapist helps the patient stop doing the compulsive behaviours to check the defect or cover it up. This may include removing mirrors, covering skin areas that the patient picks, or not using any makeup. The therapist often asks the patient to enter social situations without covering up his/her “defect”. 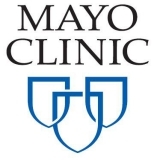 The objective is to help the patients change their false beliefs about their appearance. This is a long process and requires patience on both sides. In some cases the patients’ symptoms maybe so severe that they may require psychiatric hospitalization. This is generally recommended only when the patient is unable to keep up with day-to-day responsibilities or is in immediate danger of harming themselves. Who are some of the famous people to have struggled with BDD? 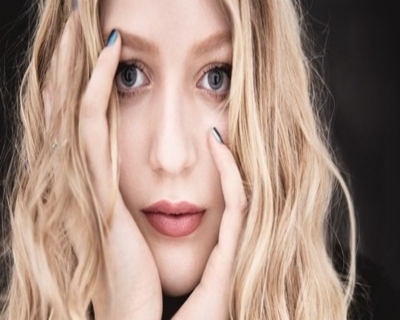 The BDD Foundation has listed celebrities who might have battled Body Dysmorphic Disorder during their lifetime. The power-house performer probably battled BDD as he went under the knife many times and denied doing so. His skin whitening procedure (he was a black man who decided to become white) received a lot of flak from critics and ardent followers alike. He had a chronic addiction to painkilling drugs and sedatives which eventually led to his untimely death. 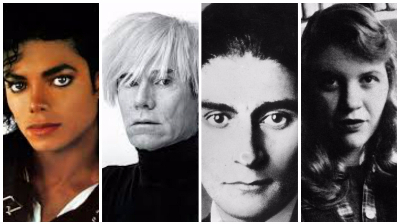 Warhol was a leading figure in the visual art movement known as pop art. He was said to be extremely self-conscious and preoccupied with the “redness” on his nose. In his autobiography (Warhol, 1975) he reveals, “At one time, the way my nose looked really bothered me – it’s always red – and I decided that I wanted to have it sanded… I went to see the doctor and I think he thought he’d humour me, so he sanded it and when I walked out of St Luke’s Hospital, I was the same underneath but had a bandage on” (p.63). “If I didn’t want to look so bad, I would want to look plain. That would be my next choice” (p.69). Kafka was a German-language writer of novels and short stories who is widely regarded as one of the major figures of 20th-century literature. He maintained personal diaries which said he hated himself and his physical appearance. “I didn’t want any new clothes at all; because if I had to look ugly anyway, I wanted to at least be comfortable. I let the awful clothes affect even my posture, walked around with my back bowed, my shoulders drooping, my hands and arms all over the place. I was afraid of mirrors, because they showed an inescapable ugliness” (Brod, 1995). The American poet, novelist, and short story writer suffered with chronic depression which led to her committing suicide at the age of 30. 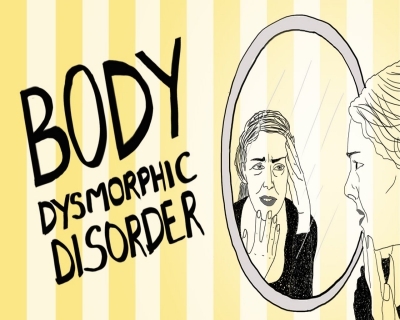 If further investigated, her depression could have been ascribed to Body Dysmorphic Disorder. She was known to be a beautiful and talented woman who penned some of the best poems of her era. Her autobiography clearly stated her insecurities. “My face I know not. One day ugly as a frog the mirror blurts it back: thick-pored skin, coarse as sieve, exuding soft spots of pus, points of dirt, hard kernels of impurity – a coarse grating. No milk-drawn silk. Hair blued with oil-slick, nose crusted with hair and green or brown crusts. Eye-whites yellowed, corners crusted, ears a whorl of soft wax” (p. 306). And later: “I shiver, chilled, the grave-chill against the simple heat of my flesh: how did I get to be thick big, complete self, with the long-boned span of arm & leg, the scarred imperfect skin ” (p. 328). Note: None of the above celebrities was officially diagnosed with BDD. It is highly likely that they had many other conditions too. For example, Sylvia Path had tried to take her life many times before, and was also consulting a therapist (she had recently been separated from her husband). She locked her rooms (even as her children were asleep in another room) and put her head in the oven to kill herself with carbon monoxide poisoning. How did ‘looks’ start to matter so much to us? BDD usually develops towards adolescence, at a time when people start to feel the social pressures of wanting to look “good”. The yardstick of beauty is a pre-conceived social norm and only a few of us manage to grapple out of it. This results in mild to serious cases of Body Dysmorphic Disorder. The victims most likely consult dermatologists or cosmetic practitioners. What is a form of depression and social anxiety gets ‘treated’ superficially. It is recognised as a hidden disorder as many people with BDD are too ashamed to reveal their insecurities and tend to live with it. This could prove dangerous and life threatening. David Hume captured the essence of beauty in his treaties on Philosophy. Beauty is no quality in things itself: It exists merely in the mind which contemplates them; and each mind perceives a different beauty. One person may even perceive deformity, where another is sensible of beauty; and every individual ought to acquiesce in his own sentiment, without pretending to regulate those of others. Beautiful is what beautiful does. Socrates: In short everything which we use is considered both good and beautiful from the same point of view, namely its use. Socrates: Of course it is, and a golden shield is ugly, if the one be beautifully fitted to its purpose and the other ill.